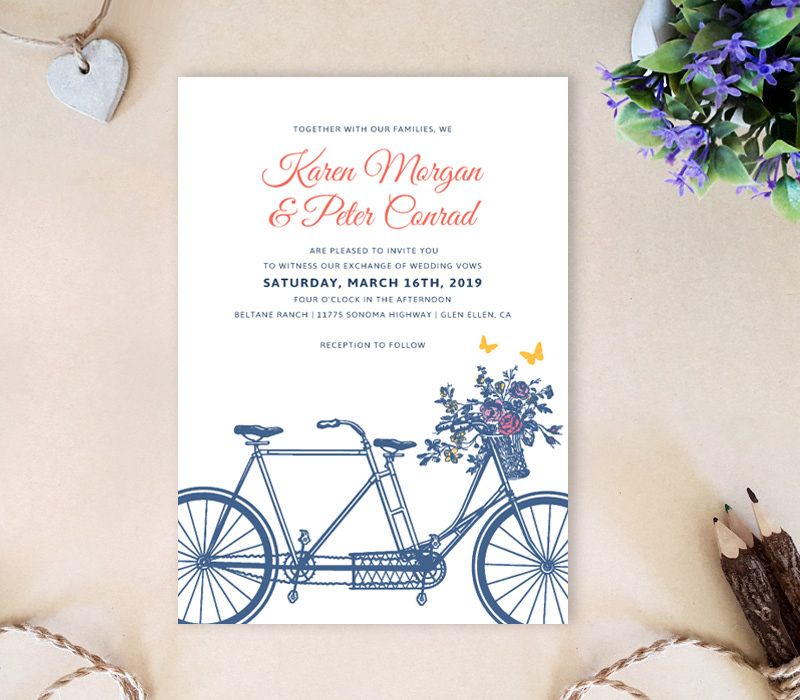 Make a sweet wedding announcement with our delightful Bicycle Wedding Invitations. 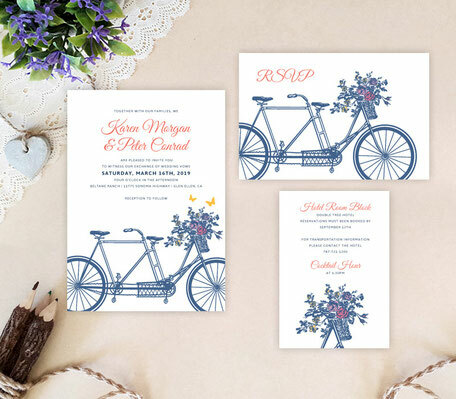 Highlighted with a cute bicycle scene, our invites will cheerfully deliver the news of your wedding while inviting your guests. 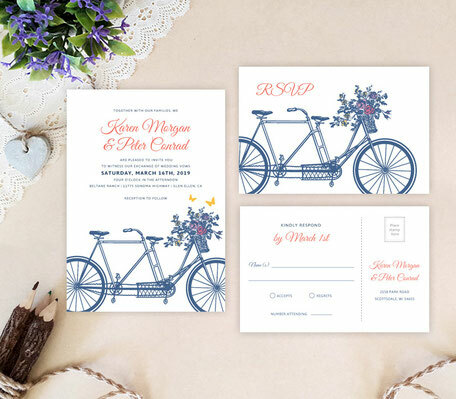 Each invitation will be printed on premium paper and features a bicycle drawing paired with a sophisticated font.